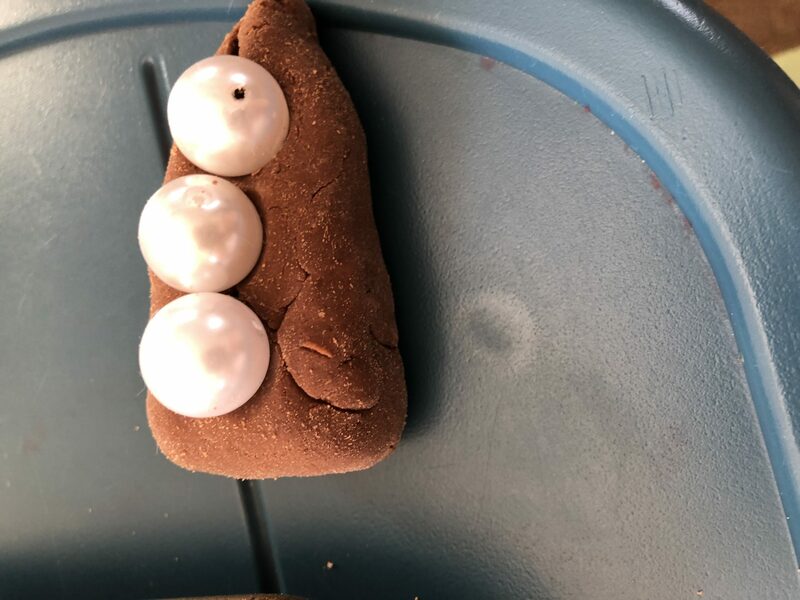 I found this chocolate play-dough recipe several years ago and it smells good enough to eat. When you cook it, it smells so much like brownies. I’ve never tried eating it, but I’m guessing it doesn’t taste as good as it smells. Anyway, I love using this play-dough for a Valentine’s Day or hot coco theme. A couple drops of glycerin for shine. 1. Mix dry ingredients in a medium size saucepan. 2. Add wet ingredients and stir together over low heat until a ball of dough forms. 3. 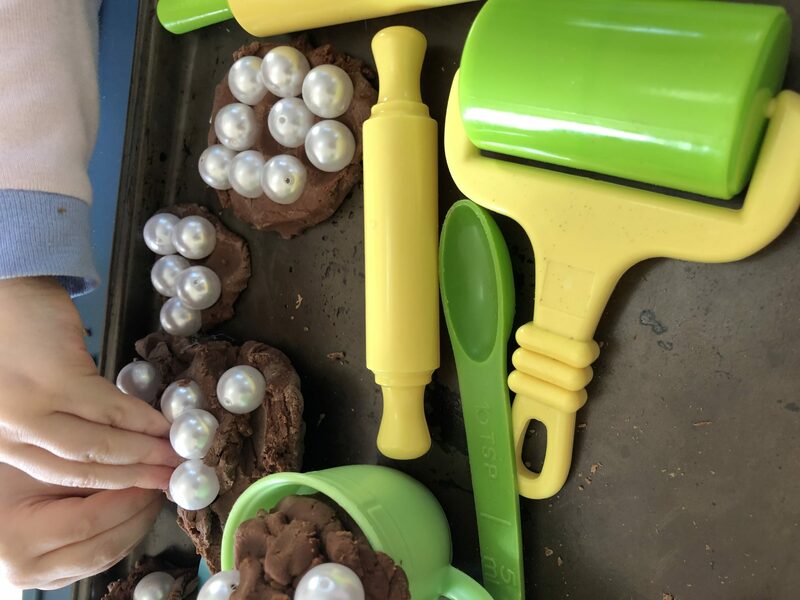 Remove play dough from the saucepan and knead by hand until dough is smooth and evenly colored. You’ll want to add the drops of glycerin at this stage. 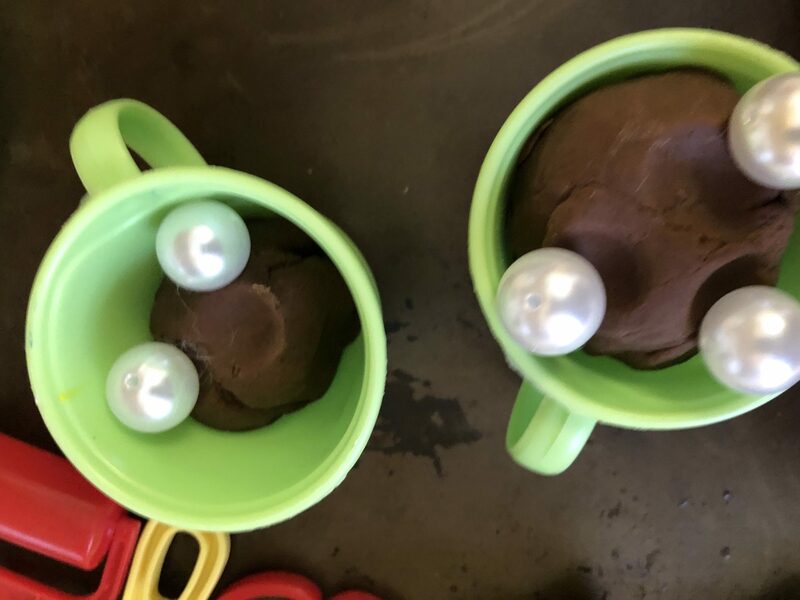 If you are kneading and find the play-dough is still too wet, add a little flour. 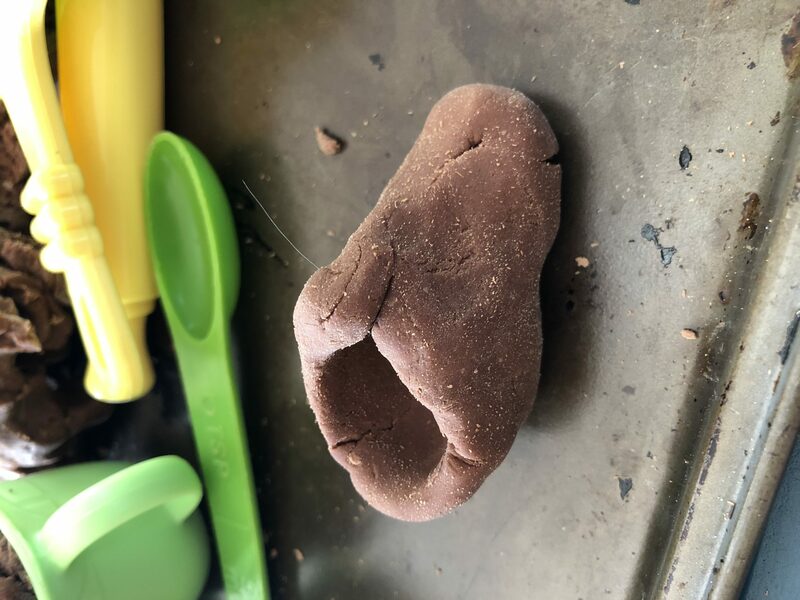 Rosebud loved this play-dough. She kept saying how yummy it smelled and she said it was very squishy. We made cups of coco with marshmallows. I used white beads. 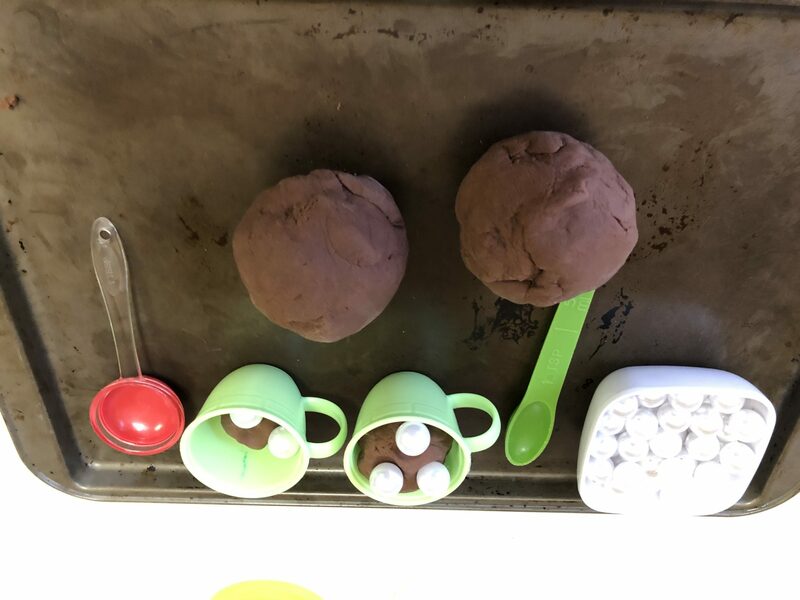 We made cakes and brownies. I made chocolate covered strawberries and chocolate roses that were quickly squished. I made objects for Rosebud to guess, even this silly shoe. 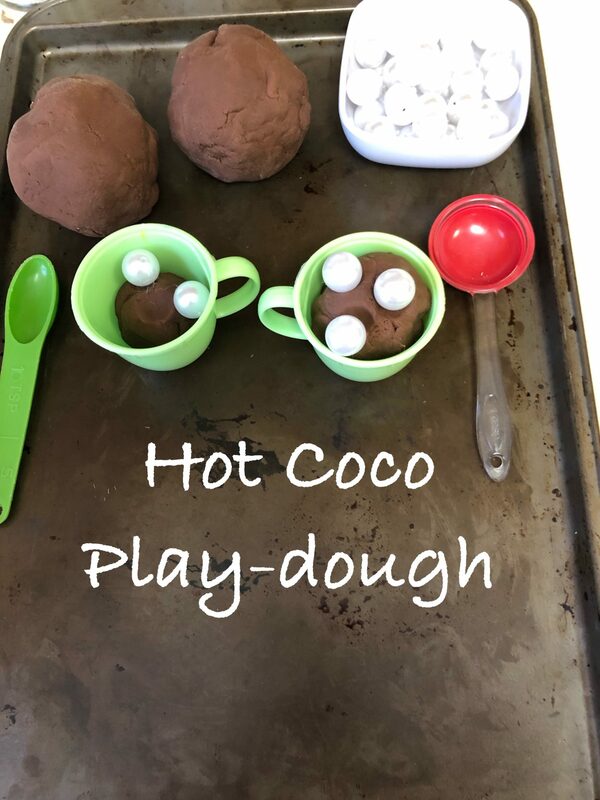 What are your favorite play-dough recipes? Tell me in the comments. Are Our Children Missing Something? So cool! Never would have thought to make it this way. I will definitely be giving this a try! I’m glad you will try it. Thank you for your comment.